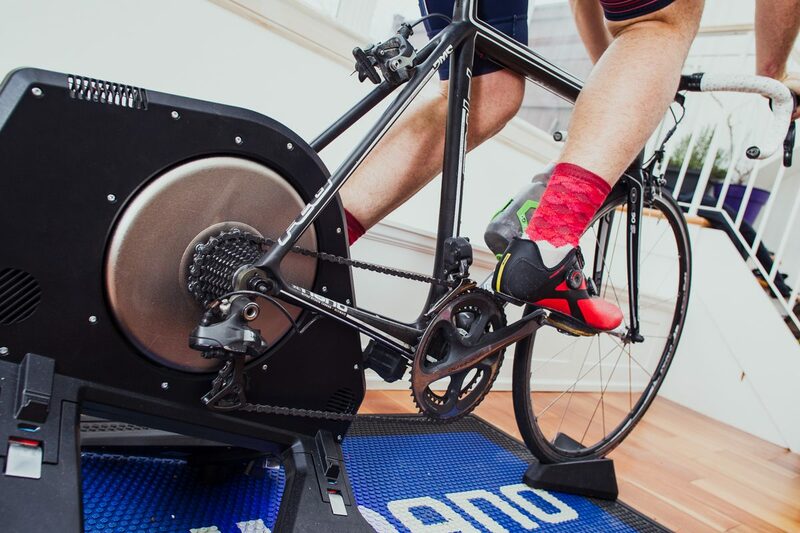 For cyclists, functional threshold power or FTP, is often thought to be the only way to quantify fitness, and it’s often the foundation for training plans and detailed workouts designed by coaches and training software. The problem is, your FTP doesn’t tell the whole story about your fitness and potential as an aerobic athlete. What’s worse, if you don’t have an accurate measure of your FTP, and don’t update it often enough (the dreaded ‘FTP test’ days), those workouts aren’t as good as they could be. To be better informed about your strengths, physical limits and to better understand your true fitness potential, you need a richer story. “The methodology of most common FTP tests is flawed so the results are not always accurate. It’s pretty well documented that the 20-minute maximum effort multiplied by 0.95 method is really only a rough guideline to use and does not apply to all athletes,” explains Jamie Sprules, Xert’s vice-president of operations. There is not doubt that your FTP is a big predictor of your ability to perform. It’s the intensity at which lactate begins to accumulate beyond steady-state levels (as lactate accumulates, the ability to perform is reduced), so the more power you can sustain, the sooner you can get to the finish line, or the coffee shop. Since FTP is important and often the only measure of fitness, most workouts are based on FTP. Even programs like Zwift ask only for your FTP before setting your workout targets. If you’re using something like Zwift during the winter, you’ve probably experienced this. You simply plug in that number, and a workout is adjusted for you. But there could be a few problems. You may not be able to do the intervals above your FTP as a workout prescribes. Or the opposite, you may be well adapted to high-intensity efforts and you need a workout that’s harder than your FTP would prescribe in order to improve.That’s because your fitness is more than just your FTP. Xert can quantify an athlete’s fitness with three parameters which combined help calculate your Fitness Signature. With these parameters Xert provides a better sense of an athlete’s strengths, weaknesses and fitness, and tracks it as it improves or diminishes. “Athletes today only think about their FTP. With Xert however, we have moved to a more complete picture of your ability to perform by using a Fitness Signature. This allows you to improve across multiple dimensions that are unique to you.” says Armando Mastracci, founder of Xert, about the methodology behind Xert’s training platform. In Xert, your Fitness Signature is represented by you maximum sprint power over five seconds called Peak Power, your Threshold Power and your High Intensity Energy (HIE), which is how much energy you have above your Threshold Power. HIE varies widely between athletes and is the primary reason why many cyclists see a big difference in their ability to perform versus what is suggested by only knowing their FTP. HIE can make the difference between an identical workout being too easy for one athlete and too hard for another. How does Xert calculate your Threshold Power? The traditional FTP test consists of a steady, all-out 20-minute effort either in a controlled environment, such as on a trainer, on a steady climb, or a flat road. But they are painful, nearly impossible to execute perfectly, and the results don’t account for HIE. And to track changes in your FTP you need to be doing FTP tests fairly often. The reality is that most cyclists do them quite rarely because the test is hard and dreadful for many – so they don’t get a good sense for what their FTP and full signature are. One alternative is to do a lab controlled workout with periodically drawn blood to determine your Maximal Lactate Steady State. This can be used as your FTP. This obviously requires an available lab and would need to be done frequently to assess progression. Xert uses a much more dynamic methodology that extracts data from your everyday riding, whether on the road or trainer, to flesh out your fitness signature. Every hard ride that takes you to your limit, whether a club ride, Zwift event, or race, acts as a test in Xert, updating your Fitness Signature instantly. It does this by analysing every single second of the data, looking for those moments of failure (when you crack), and discovers patterns from this data about how you fatigue. “Another way to describe the process we use, is to look at the data and say, ‘based on your previous history, you could only have done that effort if your Threshold Power, Peak Power, and High Intensity Energy were X’. If your fitness signature parameters were lower, you would not have been able to produce that power,” explains Mastracci. With Xert, your fitness signature can also determine how much power you have left in the tank at any given second, and how long you can sustain any given power. They call this dynamic number maximal power available (MPA). “Everything in Xert is a function of MPA. Knowing your threshold power isn’t the key. Understanding what your physical limits are and improving those, is what really counts. This is MPA.” says Mastracci. Xert continuously calculates your MPA while you ride and discovers how your power affects it. MPA decreases as you fatigue and refills as you recover. If you do a maximum effort and ride past the expected point of failure, you’ve achieved what Xert calls a fitness breakthrough. So what happens if you do a 20-minute test with Xert? If you were to do an all-out 20-minute FTP test with Xert, the software would provide an estimate of your threshold power. But Xert can also calculate your threshold power from a 10-minute, 5-minute effort, or even a 30-second all-out effort. In fact, any one of those, even in combination, would inform the software of your fitness. Even if you were to do a 20-minute ride to failure, but went out too hard, or had to stop for a traffic light mid-way, that’s OK, as long as you push yourself all the way to where you can’t turn the pedals any more Xert uses this information to make its calculations. You just need to show that you’ve reached your limit – when your power and MPA are the same value – for Xert to do its thing. If you’d like to do an FTP test using Xert’s system, there’s an app for that: the free ‘What’s My FTP?’ app by Xert is available for Connect IQ-enabled Garmin computers and wearables – you can download it in the Connect IQ Store. If you are tired of traditional FTP tests, you can find an alternative with Xert. The program will give you—no matter what your level—an accurate and dynamic view of your fitness and abilities, without having to slog through a painful 20 minutes on your trainer. Your power data provides the training software with the information it needs to build a complete training program for you, no matter what your goals are. It will give you an understanding of your abilities as an athlete and provide workouts that will push your limits, in exactly the right way.